As you may already know by now, Groix is a small island. If you can, leave your car on the continent and seize the opportunity to go around by bike or by foot. The roads sometimes look like a patchwork quilt (try the road to Pen Men !) but they’ll do the job and take you everywhere you need. In Groix, most of the direction signs are on the ground, painted in big white letters ! One of a kind ! Bikes : let the good times roll ! They’re probably the best way to discover Groix, especially when the weather’s mild. If you don’t bring your own, rent one at the harbor (there are several agencies, almost all of them you can spot from the boat) or at the Bourg, by the cinema. If you need a little help while biking around, know that most of the rental agencies offer electrical bicycles : their batteries should last a whole day. There are bikes for children, tandems and child trailers. A few important things : don’t ride your bikes on the coastal paths ! For one thing they are often too narrow and bumpy for bikes, but most of all there’s a risk of damaging them, causing the local flora to disappear and maybe even cause crumbling. Please avoid bringing the bikes on the beaches, leave them on the parking lots and bike racks when available or simply on the side of the road if possible. No risk of theft if you use a padlock ! Respect the road signaling at all times (one way streets), keep your right and get off your bike in the Bourg in the summer mornings. On foot : these boots are made for walking ! 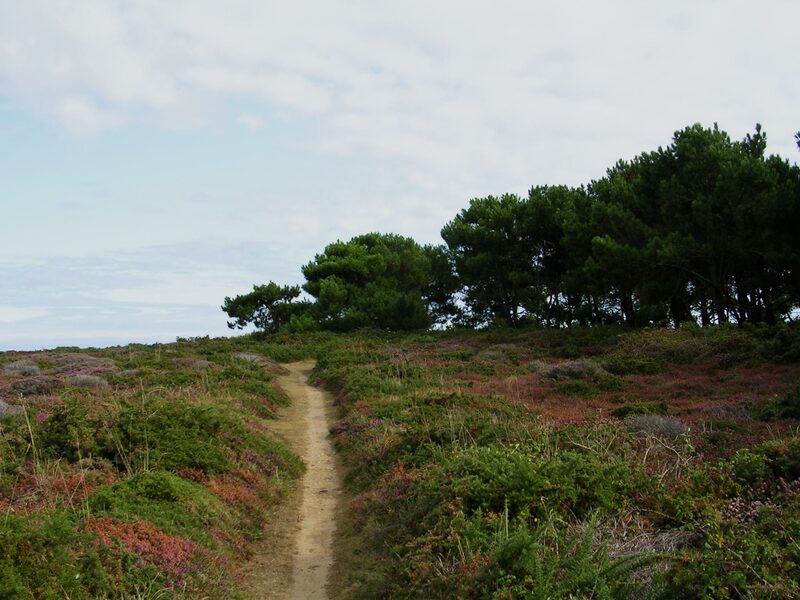 Whether you are true hiker or just enthusiastic about wandering around at a cool pace, Groix is the place to be. Under a foliage vault or among a field of heather, fern and scented gorse, the coastal walk will take you around the island, offering breathtaking views on crystal coves, high cliffs or white and red sand beaches. Don’t miss it ! There are many other walking paths inland too, and of course pedestrians are welcome on the roads if they stay cautious. Watch for the wooden signs or painted rocks giving you directions and distances. Don’t forget to grab a map at the tourist information office. Don’t hesitate to ask your way around, you’ll discover very soon that people are really welcoming : if you cross path with someone, they’ll say hi ! Please remember to not leave anything behind you when walking . There are three bus lines in Groix, all villages are served. Ask for the times at the tourist information center, at the town hall or look for them at the bus stops.